Are Primark nails worth your time? Obviously you can get your nails done professionally, but I have to admit that I am not a big fan of getting a manicure as I find it is not worth the money when using regular nail polish. One week in, and I already have chipped nails. That breaks my heart if I just paid about 15 quid to get my nails done! Gel, shellac or any other longer lasting type of manicure means you have to come back to have them removed. But I want to be able to remove my own nail polish, thank you very much. So with that in mind, I tried the Primark fake nails after two friends recommended them. With most of them being just between £1-2 I was more than happy to go on this rather sticky adventure. The selection is actually incredible, you name it, Primark has it. Oval, pointy, square, the nails come in different shapes and have one tube of glue. Once you get the hang of it, the nails are really easy to apply and the glue dries very quickly. Be careful when applying though, the glue is very strong! Personally, I am not used to having very long and pointy nails so at first I was struggling to do my normal activities. Later on, you get more used to the size of the nails. Overall I must say that I am very impressed with these nails, they stick very well with the Primark glue. The colours do not fade, the nails do not break and the glue is resealable meaning that you can carry it with you in case one of the nails comes off. 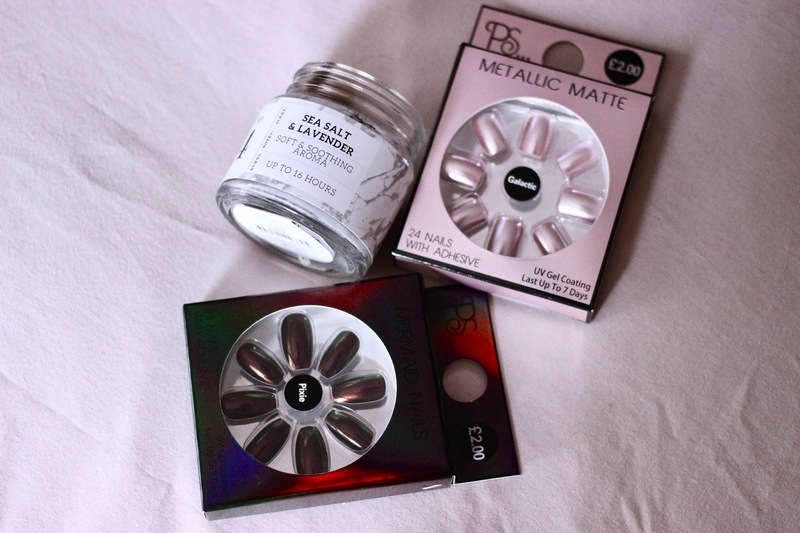 For less than £3 I am definitely sold and can highly recommend checking these nails out for when you need a quick fix or are looking for something new. Have you tried these nails before? Let me know your thoughts in the comments below!